Penguins (order Sphenisciformes, family Spheniscidae) are a group of aquatic, flightless birds living almost exclusively in the Southern Hemisphere. The number of penguin species is debated. Depending on which authority is followed, penguin biodiversity varies between 17 and 20 living species, all in the subfamily Spheniscinae. Some sources consider the White-flippered Penguin a separate Eudyptula species, while others treat it as a subspecies of the Little Penguin (e.g. Williams, 1995; Davis and Renner, 2003); the actual situation seems to be more complicated (Banks et al. 2002). Similarly, it is still unclear whether the Royal Penguin is merely a color morph (genetic mutation) of the Macaroni penguin. Also eligible to be a separate species is the Northern population of Rockhopper penguins (Davis and Renner, 2003). Although all penguin species are native to the southern hemisphere, they are not, contrary to popular belief, found only in cold climates, such as Antarctica. In fact, only a few species of penguin actually live so far south. At least ten species live in the temperate zone; one lives as far north as the Galápagos Islands: the Galápagos Penguin. The largest living species is the Emperor Penguin (Aptenodytes forsteri): adults average about 1.1 m (3 ft 7 in) tall and weigh 35 kg (75 lb) or more. The smallest penguin species is the Little Blue Penguin (also known as the Fairy Penguin), which stands around 40 cm tall (16 in) and weighs 1 kg (2.2 lb). Among extant penguins larger penguins inhabit colder regions, while smaller penguins are generally found in temperate or even tropical climates (see also Bergmann's Rule). Some prehistoric species attained enormous sizes, becoming as tall or as heavy as an adult human (see below for more). These were not restricted to Antarctic regions; on the contrary, subantarctic regions harboured high diversity, and at least one giant penguin occurred in a region not quite 2000 km south of the Equator 35 mya, in a climate decidedy warmer than today. Most penguins feed on krill, fish, squid, and other forms of sealife caught while swimming underwater. They spend half of their life on land and half in the oceans. Penguins seem to have no special fear of humans and have approached groups of explorers without hesitation. This is probably on account of there being no land predators in Antarctica or the nearby offshore islands that prey on or attack penguins. Instead, penguins are at risk at sea from predators such as the leopard seal. 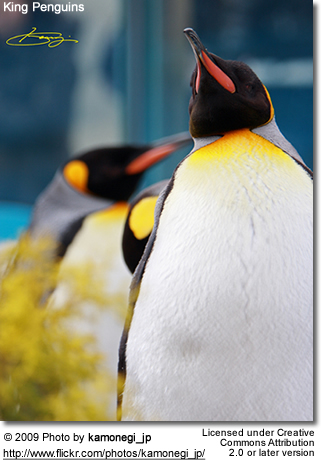 Typically, penguins do not approach closer than about 3 meters (9 feet); they become nervous at about that distance. This is also the distance that Antarctic tourists are told to keep from penguins (tourists are not supposed to approach closer than 3 meters, but are not expected to withdraw if the penguins come closer). Penguins are superbly adapted to an aquatic life. Their wings have become flippers, useless for flight in the air. In the water, however, penguins are astonishingly agile. Within the smooth plumage a layer of air is preserved, ensuring buoyancy. The air layer also helps insulate the birds in cold waters. On land, penguins use their tails and wings to maintain balance for their upright stance. 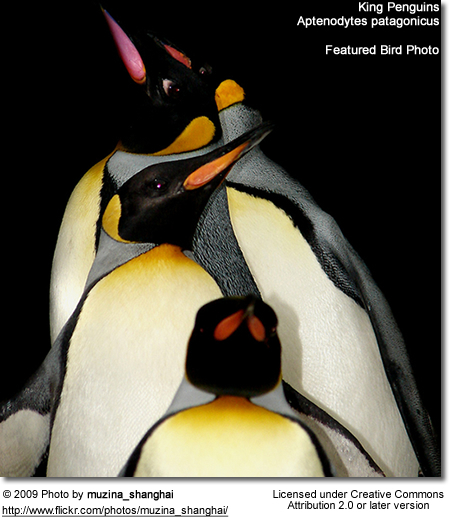 All penguins are countershaded - that is, they have a white underside and a dark (mostly black) upperside. This is for camouflage. A predator looking up from below (such as an orca or a leopard seal) has difficulty distinguishing between a white penguin belly and the reflective water surface. The dark plumage on their backs camouflages them from above. Diving penguins reach 6 to 12 km/h (3.7 to 7.5 mph), though there are reports of velocities of 27 km/h (17 mph) (which are more realistic in the case of startled flight). The small penguins do not usually dive deep; they catch their prey near the surface in dives that normally last only one or two minutes. Larger penguins can dive deep in case of need. Dives of the large Emperor Penguin have been recorded which reach a depth of 565 m (1870 ft) and last up to 22 minutes. Penguins either waddle on their feet or slide on their bellies across the snow, a movement called "tobogganing", which conserves energy while moving quickly. They also jump with both feet together if they want to move more quickly or cross steep or rocky terrain. Penguins have an average sense of hearing for birds (Wever et al 1969); this is used by parents and chicks to locate one another in crowded colonies (Jouventin et al 1999). Their eyes are adapted for underwater vision, and are their primary means of locating prey and avoiding predators; in air it has been suggested that they are nearsighted, although research has not supported this hypothesis (Sivak et al 1987). Penguins have a thick layer of insulating feathers which are designed to keep them warm in water (heat loss in water is much greater than in air). The Emperor penguin (the largest penguin) has the largest body mass of all penguins, which further reduces relative surface area and heat loss. They also are able to control blood flow to their extremities, reducing the amount of blood which gets cold, but still keeping the extremities from freezing. In the extreme cold of the Antarctic winter, the females are at sea fishing for food leaving the males to brave the weather by themselves. They often huddle together to keep warm and rotate positions to make sure that each penguin gets a turn in the center of the heat pack. They can drink salt water because their supraorbital gland filters excess salt from the bloodstream. The salt is excreted in a concentrated fluid from the nasal passages. Some penguins mate for life, others for just one season. They generally raise a small brood, and the parents cooperate in caring for the clutch and the young. During the cold season on the other hand the mates separate for several months to protect the egg. Usually, the male stays with the egg and keeps it warm while the female goes to sea to find food for the baby. When the female comes back, they switch roles. When mothers lose a chick, they sometimes attempt to "steal" another mother's chick, usually unsuccessfully as other females in the vicinity assist the defending mother in keeping her chick. In some species, such as Emperor Penguins, young penguins assemble in large groups called crèches. Perhaps one in 50,000 penguins (of most species) are born with brown rather than black plumage. These are called Isabelline penguins, possibly in reference to the legend that the archduchess Isabella of Austria vowed not to change her undergarments until her husband united the northern and southern Low Countries by taking the city of Ostend--which took three years to accomplish. Isabellinism is different from albinism, though the faded color of the plumage calls albinism to mind. Isabelline penguins tend to live shorter lives than normal penguins, as they are not well camouflaged against the deep, and are often passed over as mates. Updated after Marples (1962), Acosta Hospitaleche (2004), and Ksepka et al. (2006). See the gallery for images of most living species. Waimanu - basal (Middle-Late Paleocene): Waimanu was a genus of early penguin which lived soon after the Cretaceous-Tertiary extinction event, lending support to the theory that the radiation of modern birds took place before the extinction of the dinosaurs, not after as others had proposed. While it was a very early member of the sphenisciformes, Waimanu was flightless (like all modern members of its order). Though its wing bones do not show the extreme specializations modern penguins have for an aquatic lifestyle, it does seem adapted for wing-propelled diving, and may have resembled a flightless loon. Discovered in Canterbury, New Zealand riverbed sediments (near the Waipara River) of the Waipara Greensand Formation in 1980, the name Waimanu comes from Māori for "waterbird". Two species are known, W. manneringi from the Early Paleocene and W. tuatahi from the Late Paleocene.Perudyptes (Middle Eocene of Atacama Desert, Peru) - basal?Sphenisciformes gen. et sp. indet. CADIC P 21 (Leticia Middle Eocene of Punta Torcida, Argentina: Clarke et al. 2003)Delphinornis (Middle/Late Eocene ?- Early Oligocene of Seymour Island, Antarctica) - Palaeeudyptinae, basal, new subfamily 1? Archaeospheniscus (Middle/Late Eocene - Late Oligocene) - Palaeeudyptinae? New subfamily 2? : Archaeospheniscus is an extinct genus of large penguins. It currently contains three species, known from somewhat fragmentary remains. A. wimani, the smallest species (about the size of a Gentoo Penguin), was found in Middle or Late Eocene strata (34-50 MYA) of the La Meseta Formation on Seymour Island, Antarctica, whereas the other two, about the size of a modern Emperor Penguin, are known from bones recovered from the Late Oligocene Kokoamu Greensand Formation (27-28 MYA) at Duntroon, New Zealand. The genus is one of the earliest known primitive penguins. Its humerus is still very slender, between the form seen in ordinary bird wings and the thickened condition found in modern penguins. On the other hand, the tarsometatarsus shows a peculiar mix of characters found in modern and primitive forms. Whether this signifies that the genus is an ancestor of modern taxa or represents a case of parallel evolution is unknown. Lowe's Penguin (Archaeospheniscus lowei) : Lowe's Penguin (Archaeospheniscus lowei) is the type species of the extinct penguin genus Archaeospheniscus. 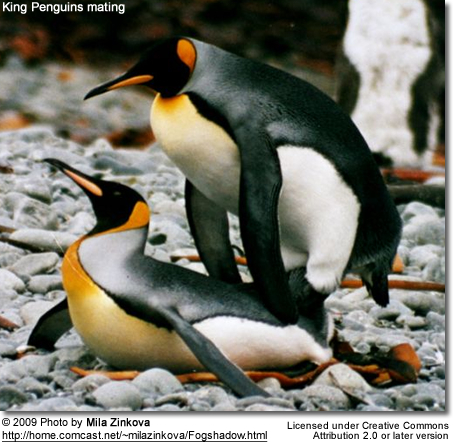 It stood approximately 85-115 cm high, between a modern King Penguin and an Emperor Penguin in size. It is known from bones of a single individual (Otago Museum C.47.20) and possibly some additional material such as the OM C.47.27 femur, all recovered from the Late Oligocene Kokoamu Greensand Formation (27-28 MYA) at Duntroon, New Zealand. The species' binomen was given in honor of Percy Lowe, who researched prehistoric penguins and proposed a theory (now considered erroneous) that these birds were derived from reptiles independently of the other modern birds. Lopdell's Penguin (Archaeospheniscus lopdelli) : Lopdell's Penguin (Archaeospheniscus lopdelli) was the largest species of the extinct penguin genus Archaeospheniscus, standing about 90-120 cm high, or somewhat less than the extant Emperor Penguin. It is only known from bones of a single individual (Otago Museum C.47.21) which was found in the Late Oligocene Kokoamu Greensand Formation (27-28 MYA) at Duntroon, New Zealand. Bones apparently belonging to this species are now also known from the Late Eocene La Meseta Formation (34-37 MYA) on Seymour Island, Antarctica (Tambussi et al., 2006). As the bird is not very well distinguished except in size from its contemporary congener Archaeospheniscus lowei and the size range, an estimated 85-120 cm, is in the upper range of the variation found in modern penguins, it is probable that A. lopdelli is a synonym of A. lowelli. As the recent finds in Antarctica suggest, this is far from certain, however, and there remains much to be learned about the systematics and biogeography of the two larger Archaeospheniscus species. The species' binomen honors J. C. Lopdell, who assisted Marples in recovering the fossils of this bird and others found in the Duntroon excavations. Archaeospheniscus wimani : Archaeospheniscus wimani is an extinct species of penguin. It was the smallest species of the genus Archaeospheniscus, being approximately 75-85 cm high, or about the size of a Gentoo Penguin. It is also the oldest known species of its genus, as its remains were found in Middle or Late Eocene strata (34-50 MYA) of the La Meseta Formation on Seymour Island, Antarctica. It is known from a fair number of bones. The species' binomen honors Carl Wiman, an early 20th century researcher who laid the groundwork for the classification of the prehistoric penguins. Inguza (Late Pliocene) - probably Spheniscinae; formerly Spheniscus predemersus : Inguza predemersus is an extinct species of penguin. It was formerly placed in the genus Spheniscus and presumed to be a close relative of the African Penguin, but after its well-distinct tarsometatarsus was found, it was moved into its present monotypic genus (a genus consisting of only one species). What is known from molecular data is that the time at which the present species lived is not too distant from the arrival of the ancestors of the African Penguin on the Atlantic coasts of southern Africa. On the other hand, it may be closer to Pygoscelis. This would mean that its ancestors diverged from those of the extant Pygoscelis most likely at an indeterminate point of time during the Oligocene. (Baker et al. 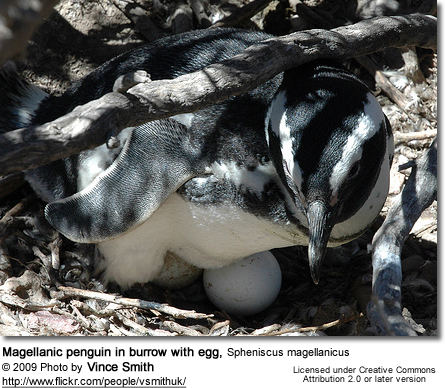 2006) Alternatively, it might not be close to extant penguins (the Spheniscinae), but a late survivor of an extant lineage. This is not very likely given its age - it would be the last known survivor of the non-spheniscine penguins - but as some of these still lived a few million years ago, it cannot be ruled out. Subfamily Palaeeudyptinae - Giant penguins (fossil): The New Zealand Giant Penguins, Palaeeudyptinae, are an extinct subfamily of penguins. It includes several genera of medium-sized to very large species - including Palaeeudyptes marplesi and Anthropornis nordenskjoeldi which grew 1.5 meters (4 ft 11.1 in) tall or even larger, and the massive Pachydyptes ponderosus which weighed at least as much as an adult human male. They belonged to an evolutionary lineage more primitive than modern penguins. In some taxa at least, the wing, while already having lost the avian feathering, had not yet transformed into the semi-rigid flipper found in modern penguin species: While the ulna and the radius were already flattened to increase propelling capacity, the elbow and wrist joints still retained a higher degree of flexibility than the more rigidly lockable structure found in modern genera. The decline and eventual disappearance of this subfamily seems to be connected by increased competition as mammal groups such as cetaceans and pinnipeds became better-adapted to a marine lifestyle in the Oligocene and Miocene. The members of this subfamily are known from fossils found in New Zealand, Antarctica, and possibly Australia, dating from the Middle or Late Eocene to the Late Oligocene; the Australian Middle Miocene genus Anthropodyptes is also often assigned to this subfamily, as are the remaining genera of primitive penguins except those from Patagonia. Indeed, it was long assumed that all prehistoric penguins which cannot be assigned to extant genera belonged into the Palaeeudyptinae; this view is generally considered obsolete today. It is likely that some of the unassigned New Zealand/ Antarctican/ Australian genera like Delphinornis, Marambiornis, and Mesetaornis do indeed belong into this subfamily, but it is just as probable that others, such as Duntroonornis and Korora, represent another, smaller and possibly somewhat more advanced lineage. The Palaeeudyptinae as originally defined (Simpson, 1946) contained only the namesake genus, the remainder being placed in the Anthropornithidae. The arrangement followed here is based on the review of Marples (1962) who synonymized the two, with updates to incorporate more current findings. Nordenskjoeld's Giant Penguin, Anthropornis nordenskjoeldi : Anthropornis nordenskjoeldi, or Nordenskjoeld's Giant Penguin, was a penguin species that lived 45–37 million years ago, during the Late Eocene and the earliest part of the Oligocene. It reached 1.7 meters (5 ft 6.9 in) in height and 90 kilograms (198 lb) in weight. Fossils of it have been found on Seymour Island off the coast of Antarctica and in New Zealand. By comparison, the largest modern penguin species, the Emperor Penguin, is just 1.2 meters (3 ft 11.2 in) tall. Anthropornis nordenskjoeldi had a bent joint in the wing; this indicates a carryover from its flying ancestors. Penguins were descended from grebe or loon-like ancestors, and became flightless as they became full-time swimmers. Icadyptes (Late Eocene of Atacama Desert, Peru) : Icadyptes salasi was a giant penguin species from the late Eocene period, in the tropics of South America. "Ica" for the Peruvian region where it was found, "dyptes" from the Greek word for diver, and "salasi" for Rodolfo Salas, a noted Peruvian paleontologist. The fossilised remains of the penguin, which lived some 36 million years ago, were found in the coastal desert of Peru by the team of North Carolina State University palaeontologist Dr. Julia Clarke, assistant professor of marine, earth and atmospheric sciences. Its well-preserved fossil skeleton was found on the southern coast of Peru together with an early Eocene species Perudyptes devriesi (comparable in size to the living King penguin), and the remains of three other previously undescribed penguin species, all of which seem to have preferred the tropics over colder latitudes. Perudyptes devriesi is named after the country, and Thomas DeVries, a University of Washington palaeontologist who has long worked in Peru. Standing 1.5 metres (5 ft) tall, the penguin was much larger than any of its modern-day cousins. It had an exceptionally long spear-like beak resembling that of a heron. The researchers who discovered the penguins believe the long, pointed beaks to be the likely ancestral shape for all penguins. Icadyptes salasi is the third largest penguin ever described. Icadyptes salasi and Perudyptes devriesi appear to have flourished at warmer latitudes at a time when world temperatures were at their warmest over the past 65 million years. Only a few modern-day penguins, such as the African and Galapagos penguins prefer such a balmy climate. The discovery of the fossils has caused a re-evaluation of penguin evolution and expansion. Previously, scientists believed that penguins evolved near the poles in Antarctica and New Zealand, and moved closer to the equator around 10 million years ago. Since Icadyptes salasi lived in Peru during a period of great warmth, penguins must have adapted to warm-climates around 30 million years earlier than previously believed. Palaeeudyptes (Middle/Late Eocene - Late Oligocene) - polyphyletic (derived from more than one ancestral type); some belong in other subfamilies : Palaeeudyptes is an extinct genus of large penguins, currently containing four accepted species. They were probably larger than almost all living penguins, with the smaller species being about the size of an Emperor Penguin and the largest ones having stood about 1.5 meters tall. Of the four species, two (P. gunnari and P. klekowskii) are known from numerous remains found in Middle or Late Eocene strata (34 to 50 MYA) of the La Meseta Formation on Seymour Island, Antarctica. P. antarcticus, the first fossil penguin described, is only really known from a single incomplete tarsometatarsus found in the Late Oligocene Otekaike Limestone (23 to 28, possibly up to 34 MYA) at Kakanui, New Zealand, but numerous other bones have been tentatively assigned to the species. The other described New Zealand species, P. marplesi, is known from parts of a skeleton, mainly leg bones, from the Middle or Late Eocene Burnside Mudstone (34 to 40 MYA) at Burnside, Dunedin. To this species also a number of additional remains have been tentatively assigned. The problem with the indeterminate New Zealand specimens is that they at least in part are intermediate in size between the two species (Simpson, 1971). It may be that P. marplesi simply evolved into the smaller P. antarcticus. Bones unassignable to species also were found on Seymour Island, but in these cases they seem to be from juvenile individuals or are simply too damaged to be of diagnostic value (Jadwiszczak, 2006). In addition, an incomplete right tibiotarsus (long leg bone) (South Australian Museum P10862) and one left humerus (South Australian Museum P7158) and assignable to this genus were found in the Late Eocene Blanche Point Marls at Witton Bluff near Adelaide, Australia (Simpson, 1946, 1971). The supposed genus Wimanornis, based on two Seymour Island humeri, is apparently a synonym of P. gunnari (Jadwiszcak, 2006). The genus is the namesake for the subfamily of primitive penguins, Palaeeudyptinae. Altogether, their osteological characteristics seem to have been somewhat less advanced that those of the slightly smaller Archaeospheniscus and about on par with the gigantic Anthropornis. The exact nature of the relationship of the Palaeeudyptinae to modern penguins is unknown. Pachydyptes (Late Eocene) : Pachydyptes is an extinct genus of penguin. It contains the single species Pachydyptes ponderosus, the New Zealand Giant Penguin. This taxon is known from a few bones from Late Eocene (34 to 37 MYA) rocks in the area of Otago, and a fine specimen found near Kawhia, New Zealand, in January 2006[verification needed]. With a height of 140 to 160 cm (about 5 ft) and weighing around 80 to possibly over 100 kg, it was the second-tallest penguin ever, surpassed only by Anthropornis nordenskjoeldi in size, but probably not in weight. As George Gaylord Simpson famously quipped, "Pachydyptes' height would not suffice for basketball but their weight was about right for American football." Pachydyptes was slightly larger than Icadyptes salasi, the best-identified of the giant penguins. Subfamily Palaeospheniscinae - Slender-legged penguins (fossil): Palaeospheniscus is an extinct genus of penguins which contains three species at present. They are all (except P. bergi, which is somewhat enigmatic) known from one or two handful of bones. All specimens were found in Santa Cruz and Chubut Provinces of Patagonia, Argentina. The fossils were recovered from the Patagonian Molasse Formation, and are probably Early Miocene to Late Miocene or possibly Early Pliocene in age (Stucchi et al. 2003). Palaeospheniscus gracilis was long believed to be from the Early Oligocene, but this is now thought to be erroneous. P. gracilis and P. wimani are often considered synonyms of P. patagonicus. Recent researchers also tend to merge Chubutodyptes into this genus as P. biloculatus. The species of Palaeospheniscus were medium-sized to largish penguins, ranging from P. gracilis with an estimated maximal length of 55 cm to P. wimani, which reached up to 73 cm. 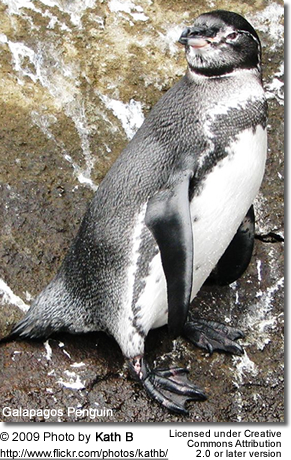 Palaeospheniscus is the namesake genus of the subfamily Palaeospheniscinae, the Patagonian slender-legged penguins. These are apparently not closely related to the modern genus Spheniscus. Palaeospheniscus (Early? - Late Miocene/Early Pliocene) - includes Chubutodyptes : Palaeospheniscus is an extinct genus of penguins which contains three species at present. They are all (except P. bergi, which is somewhat enigmatic) known from one or two handful of bones. All specimens were found in Santa Cruz and Chubut Provinces of Patagonia, Argentina. The fossils were recovered from the Patagonian Molasse Formation, and are probably Early Miocene to Late Miocene or possibly Early Pliocene in age (Stucchi et al. 2003). Palaeospheniscus gracilis was long believed to be from the Early Oligocene, but this is now thought to be erroneous. P. gracilis and P. wimani are often considered synonyms of P. patagonicus. Recent researchers also tend to merge Chubutodyptes into this genus as P. biloculatus. The species of Palaeospheniscus were medium-sized to largish penguins, ranging from P. gracilis with an estimated maximal length of 55 cm to P. wimani, which reached up to 73 cm. 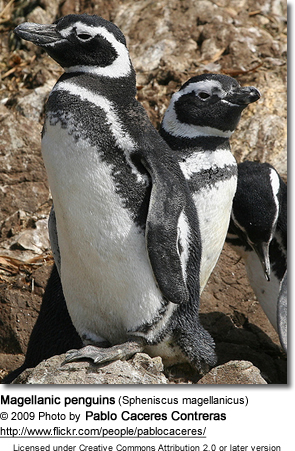 Palaeospheniscus is the namesake genus of the subfamily Palaeospheniscinae, the Patagonian slender-legged penguins. These are apparently not closely related to the modern genus Spheniscus. 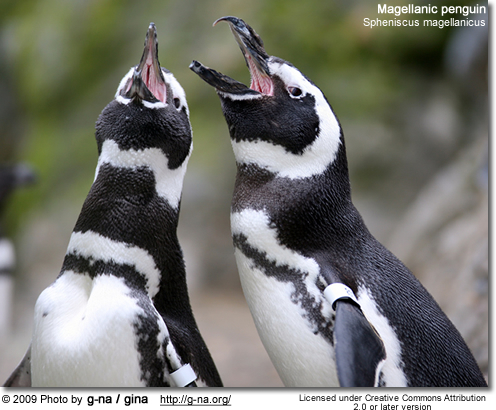 Aptenodytes - Great penguins (2 species) : The genus Aptenodytes (from the Greek for "flightless diver") contains two extant species of penguins collectively known as "the great penguins". Ridgen's Penguin (Aptenodytes ridgeni) is an extinct species known from fossil bones of Early or Late Pliocene age. Taxonomy: Clarke et al. (2003) and Ksepka et al. (2006) apply the phylogenetic taxon Spheniscidae what here is referred to as Spheniscinae. Furthermore, they restrict the phylogenetic taxon Sphenisciformes to flightless taxa, and establish (Clarke et al. 2003) the phylogenetic taxon Pansphenisciformes as equivalent to the Linnean taxon Sphenisciformes, i.e., including any flying basal "proto-penguins" to be discovered eventually. Given that neither the relationships of the penguin subfamilies to each other nor the placement of the penguins in the avian phylogeny is presently resolved, this seems spurious and in any case is confusing; the established Linnean system is thus followed here.